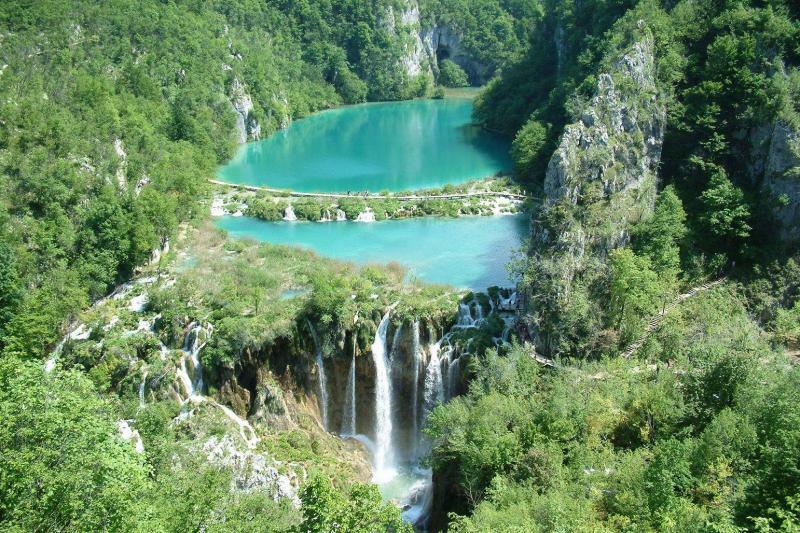 Explore Plitvice National Park, a UNESCO World Heritage Site home to picturesque lakes, waterfalls and lush forests. Arrive in the tiny village of Korana. After settling into your accommodation meet with other group members. 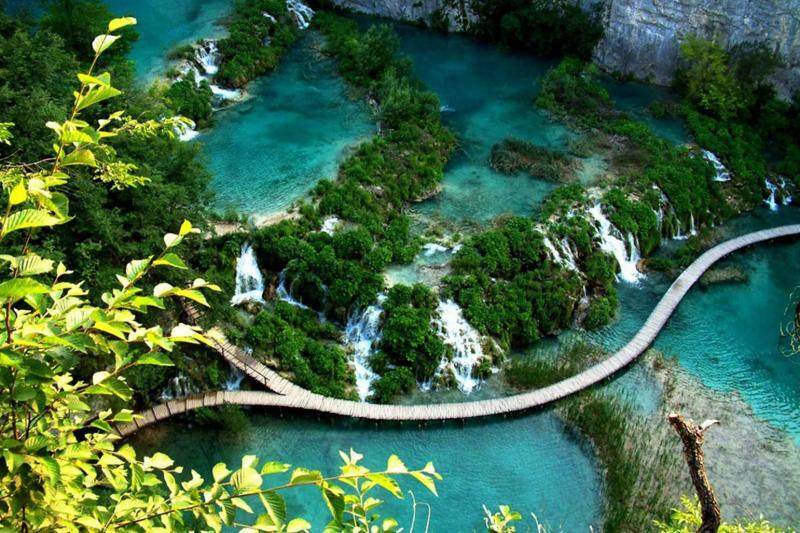 Explore the Plitvice Lakes on foot. A panoramic boat and train ride will take you back to the start. 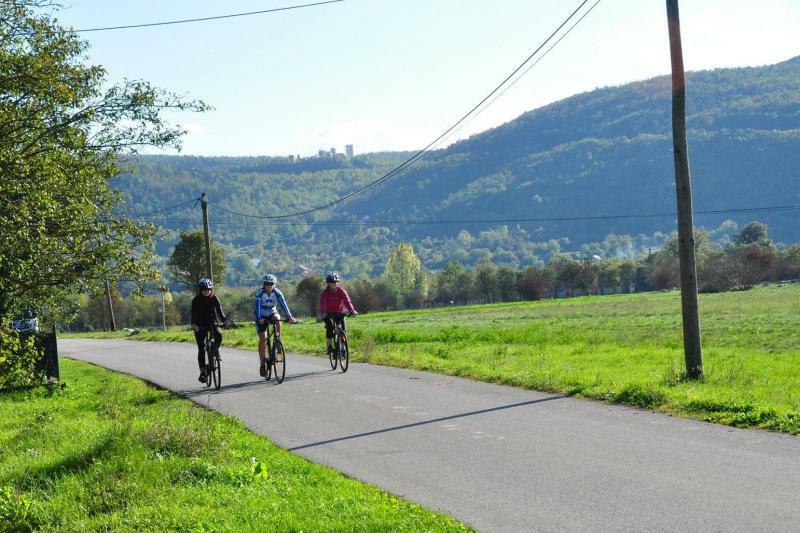 Cycle through the countryside and enjoy the fantastic scenery. Afterwards eat a picnic lunch (not included) and take some time to relax outdoors. Bike back to Korana village in the afternoon. 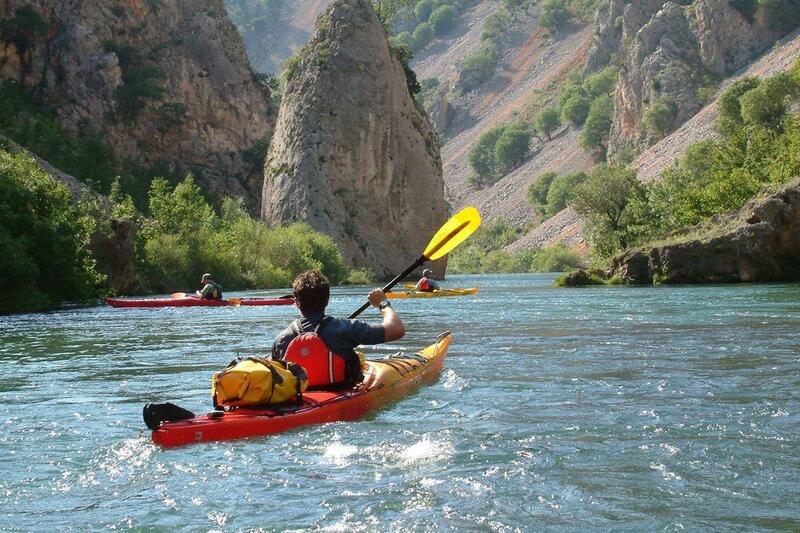 A kayaking expedition through the magnificent canyons of the Zrmanja River in Velebit Nature Park. Discover rapids and waterfalls, hidden pools and towering canyons. No previous experience necessary. In case of high water levels in early and late season rafting boats are used. Either relax by the river or take an optional excursion. Optional day trips are not included in price and can be booked and paid for locally, approx. € 40 – 70 per person. 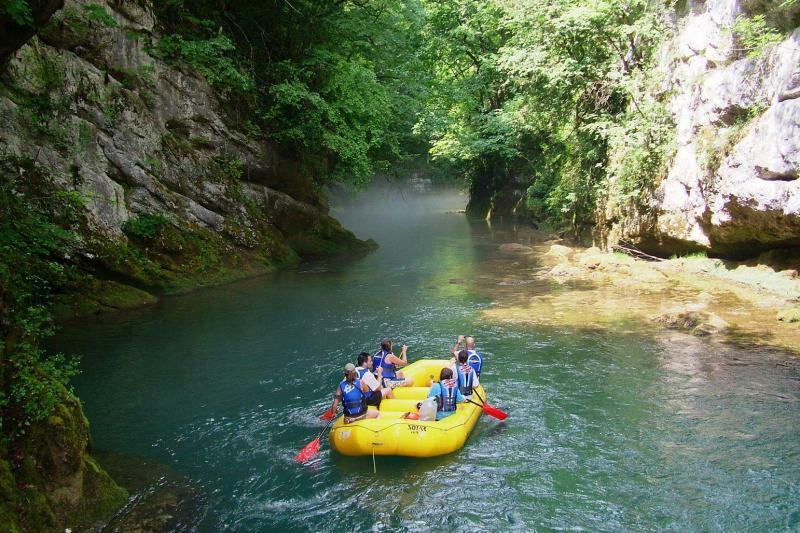 The Una river is a natural border between Croatia and Bosnia; water levels are high even in the summer so rafting is possible all year round. Kayak through a gorge so narrow and deep that the sun enters for just a few hours each day, creating spectacular light effects. Paddle past cliffs, lush vegetation, waterfalls, and a freshwater spring and proceed to the second highest waterfall on the Mreznica river (8m), the ideal place to stop off for swimming and a picnic, then continue on to the end point. Afterwards you will have some free time to visit the charming village of Rastoke. Return to Korana for a farewell dinner. Depart Korana for the airport and flight home. This itinerary and the duration of all activities are subject to change due to group abilities and preferences, weather conditions and forecasts, water levels, special events of interest, etc. Our travel partner reserves the right to alter the itinerary without prior notice. •	Minimum age: 8 years. •	Arrivals after 6pm may be subject to a surcharge of € 30. Single use rooms are available upon request, with 20% surcharge. Sharing a room with another person is possible if there is someone else in the group interested in doing so. Plitvice Lakes National Park is one of the oldest and largest in Croatia and is a UNESCO World Heritage Site. Located in the centre of the country, near the border with Bosnia Herzegovina, it connects the inland region with the Adriatic coast. The park is famous for its beautiful travertine waterfalls and 16 interconnected lakes that cascade into each other, ranging in shade from light blue to dark green depending on the angle of the light and the minerals and organisms present in the water. A popular location for hiking, there are a number of marked trails around the park, with wooden walkways that cross the lakes and waterfalls. The rivers in the area are ideal for kayaking and rafting; paddle through towering limestone canyons, past waterfalls and discover hidden caves and pools where you can take a dip in the fresh water. The small village of Korana, where you will be based during your stay, is located close to entrance to the National Park, on the Korana river. Here you will find some small welcoming homes close to the river’s edge, where you can take a refreshing swim after the day’s activity. Accommodation is provided by the families of Korana, a charming village nestled in a valley in Plitvice Lakes National Park and an ideal base to explore the surrounding area. The guesthouses are small, traditional dwellings with simple, clean and comfortable rooms. PLEASE NOTE: As these are private houses, some rooms might share a bathroom. Return transfers from Zagreb or Zadar airport, bus or train stations are included in the package, please contact us with your flight details after booking. N.B. Arrivals after 6 pm may be subject to surcharge of 30 euros per person.